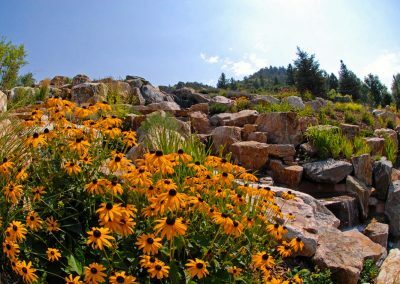 Grant Ranch Patio - Weston Landscape & Design, Inc. 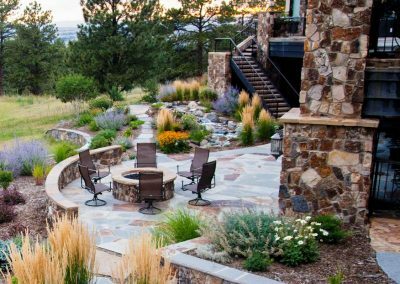 Located in Littleton’s Grant Ranch Community, this creative spin on a patio with a “camp fire style” fire pit turned out to be pretty fabulous. 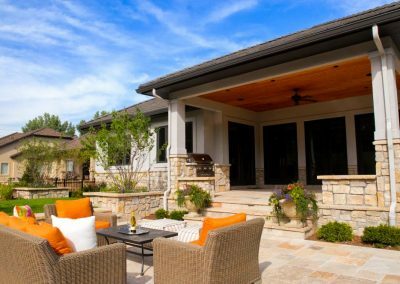 The use of Pavers for the patio and steps with gray granite boulders integrated for the firepit and accents really pops and makes for a one of a kind outdoor living space our clients absolutely love.